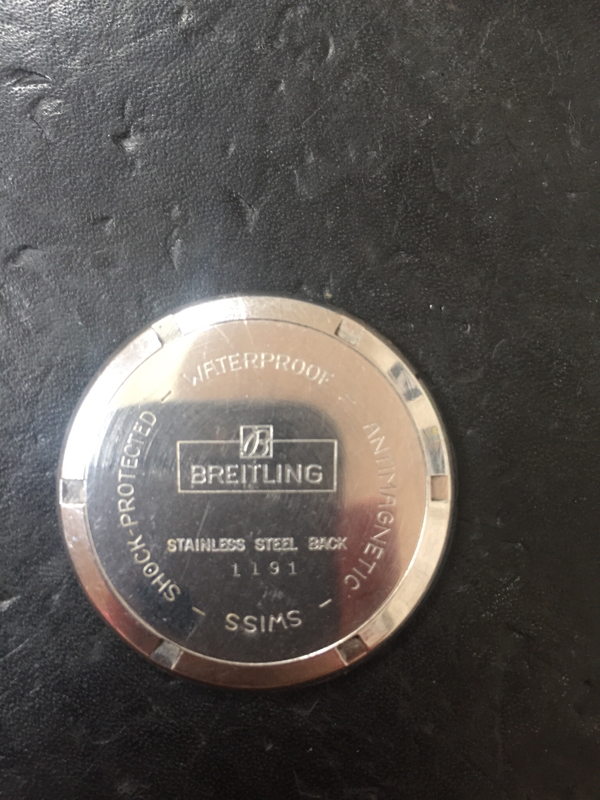 This is my first post here and my first vintage Breitling. 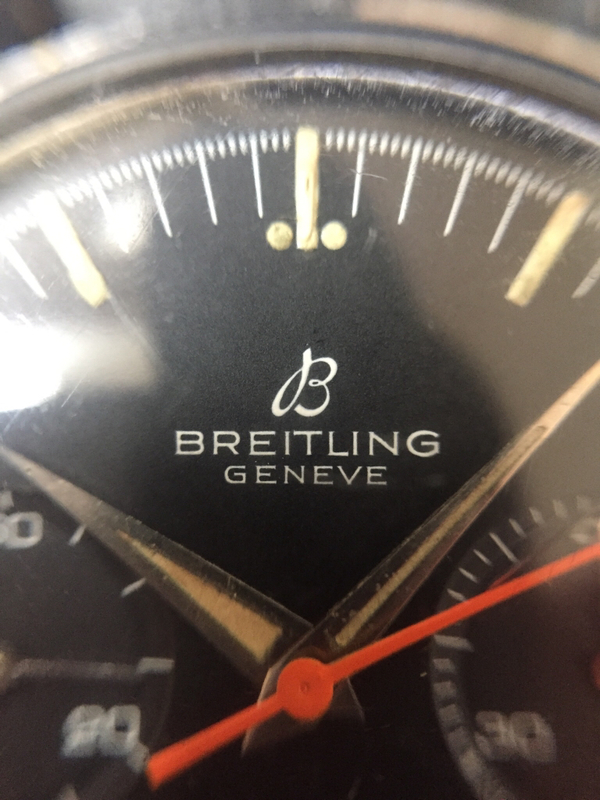 I would like some help if possible with a Breitling 1191. I have done some research but have now come to a dead end. 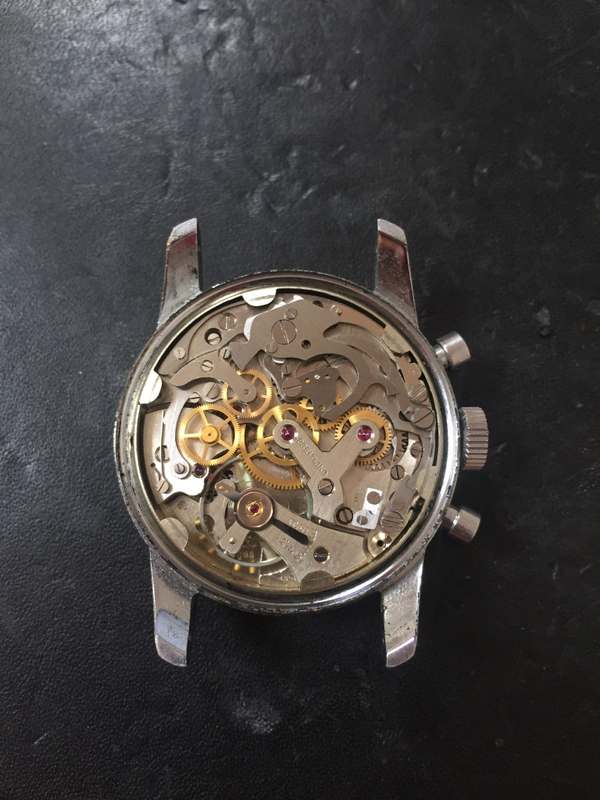 I have decided that the case and movement are both genuine and original to the watch. Now the dial is where I'm stuck. 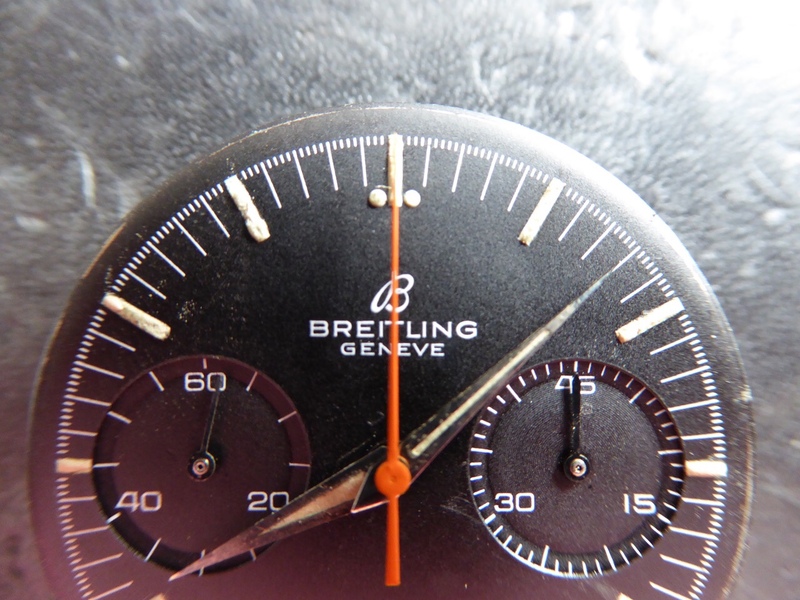 Looking at it it has the same quality of printing to a 69 Speedmaster even down to the tiny circles in the registers. 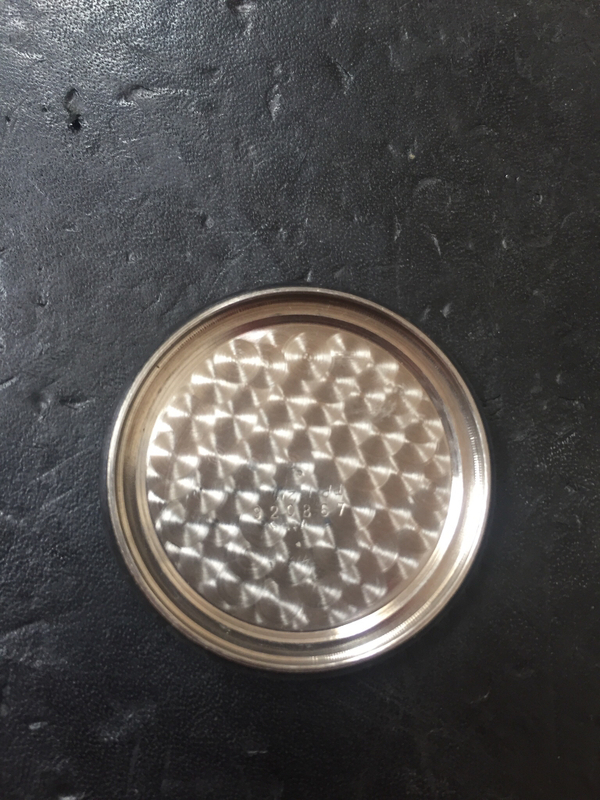 I have attached some photos and welcome comments. 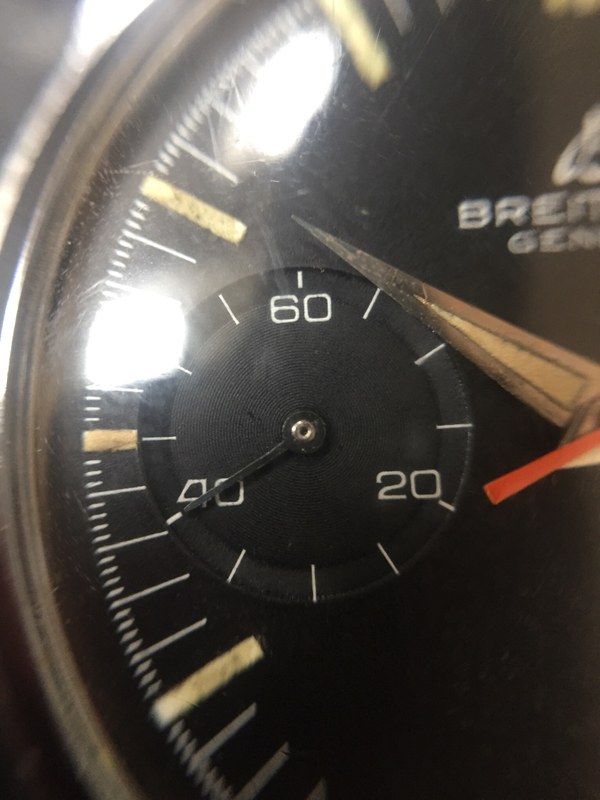 Im not going to be very helpful because i've never seen one before, and the dial does not match ref 1191, and doesn't match any google images or searches that I found, so normally at that point I'd say its not correct. 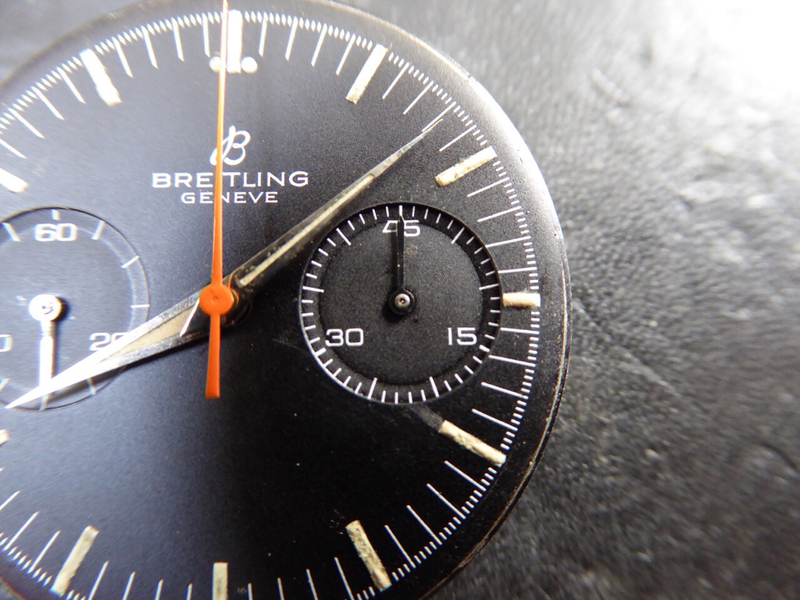 But, I have to say that the dial looks Breitling print quality. 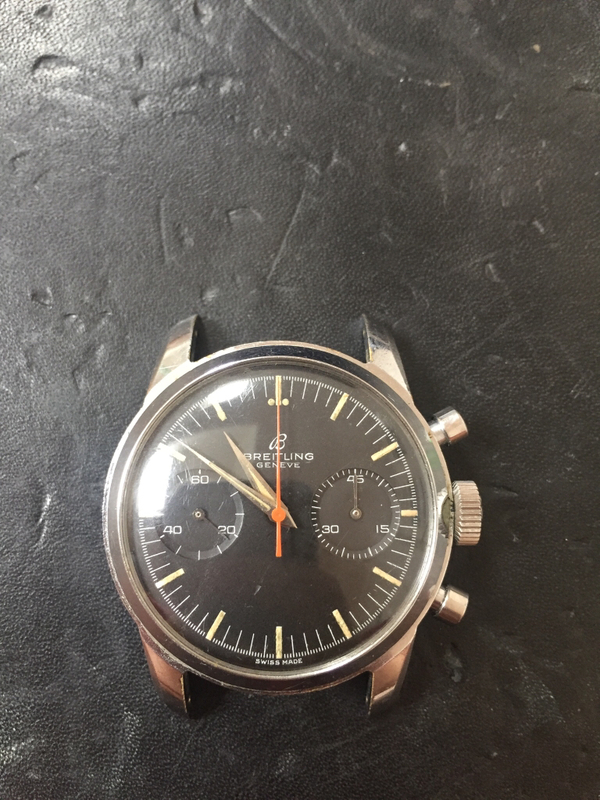 You also see that 2 dot lume plot on later Top Time 810s. I was wondering about the logo but now convinced myself it looks OK. Handsets style exists on other 1191. 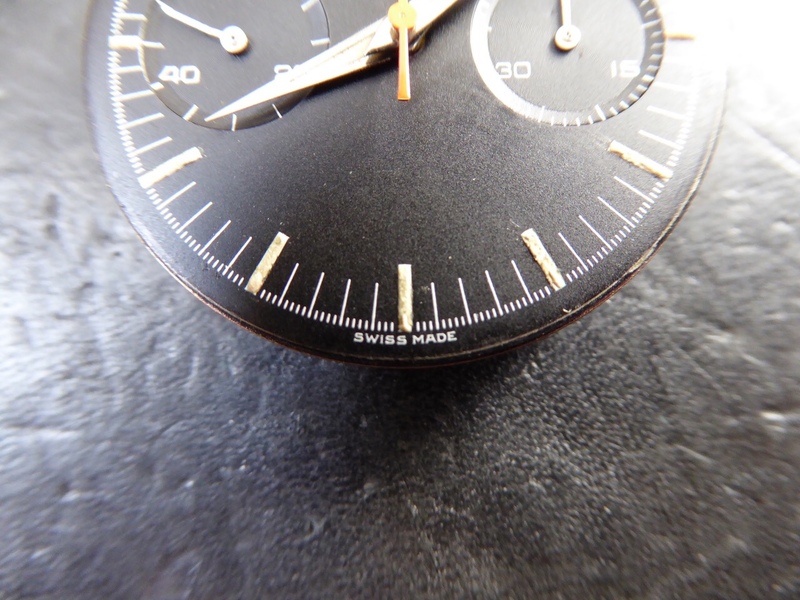 Only observation would be that the subdial hands would be white on a black dial. Anyway, it looks the business. Thanks for your reply. 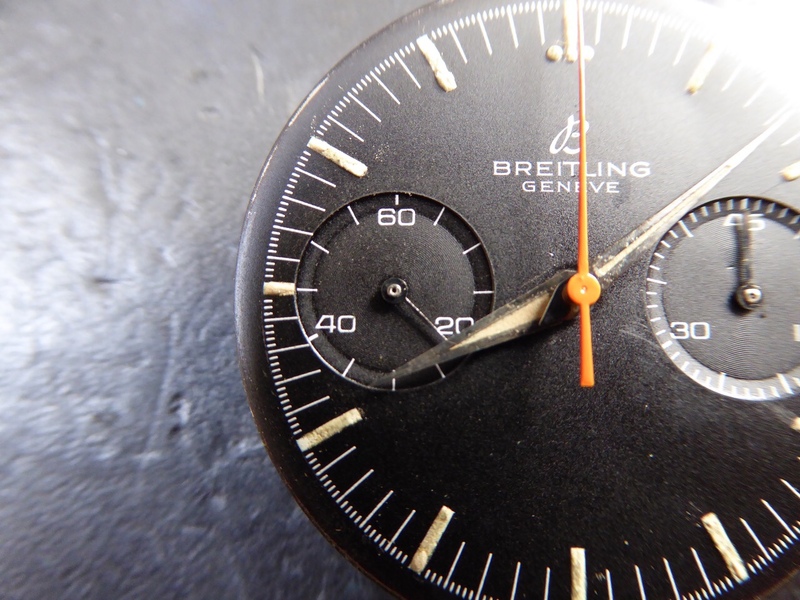 I also thought it was not original prior to getting the loupe out. The quality is outstanding with no imperfections at all. The sundial hands are actually steel like the hour/minute hands but are showing a shadow from my hand. first black 1191 from the period I remember seeing, but agree it looks correct. You just got it from Fred and you're not going to get better than that. no. you are here, no better location I could think of. In my opinion it looks like a redial. If you look at the printing on the sub registers the numbers are overlaying the curvature of the sub register instead of being completely on the flat portion. 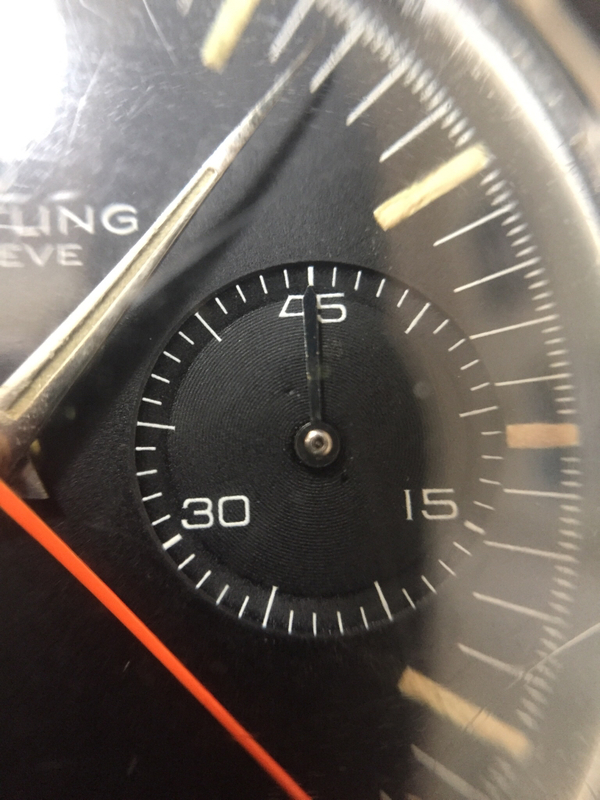 I can't find that's the case on any other dial of this style. 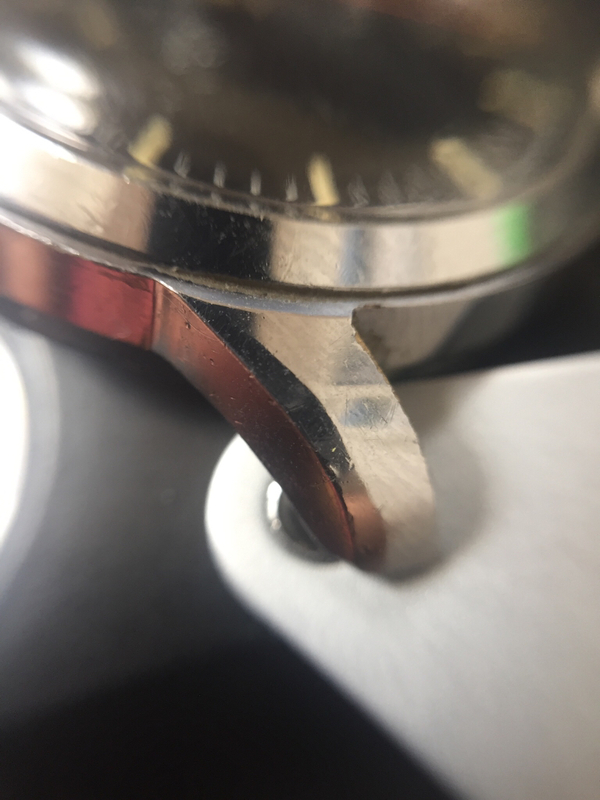 In addition, I think the hand set isn't correct for the watch either. Why? Nothing wrong with steel hands on a black face. Style unusual for black dial. 'stainless steel back' , wasnt that reserved for GP and/or chromed pieces ? 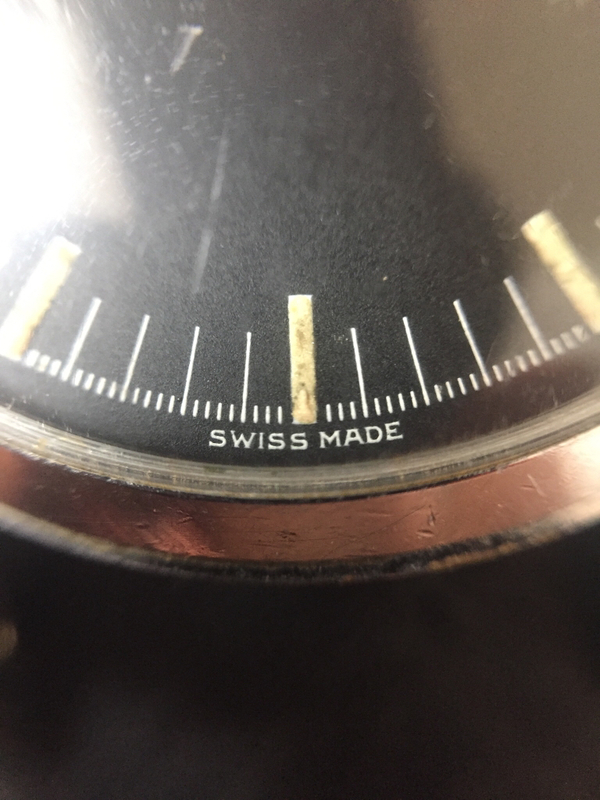 'swiss made' without the T(s) ? Last edited by Dracha on Sat Jun 03, 2017 5:02 am, edited 1 time in total.